The first generation of bath houses were actually tents, and a soak entailed laying in the hot mud and slathering it all over oneself; doing so was thought to cure rheumatism. 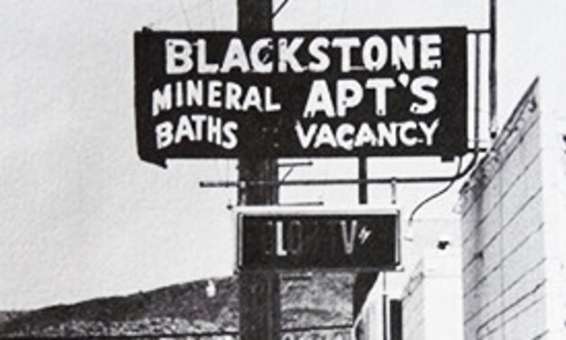 During the late 1800s, while neighboring areas like Kingston and Chloride were experiencing the Gold and Silver Rush, the hot springs were visited by more and more people and the area became known as “Palomas Hot Springs.” The first generation of bath houses were actually tents, and a soak entailed laying in the hot mud and slathering it all over oneself; doing so was thought to cure rheumatism. The event that changed the area forever was the construction of Elephant Butte Dam between 1911 and 1916. Liquor and gambling were outlawed at the construction site, but establishments in the hot springs settlement five miles away offered both – and in abundance. The population grew rapidly and the town was incorporated in 1916. Once the dam was completed, the flow of the river was altered such that more land could be claimed from the flood plain, allowing for stick frame bathhouses to be built in what had been swamp. Wells were sunk into the aquifer, allowing clear spring water to flow. The town developed as a health resort; hot mineral water was an accepted medical treatment, and slogans like “City of Health” and “Health Capital of the Southwest” drew visitors and healers alike. 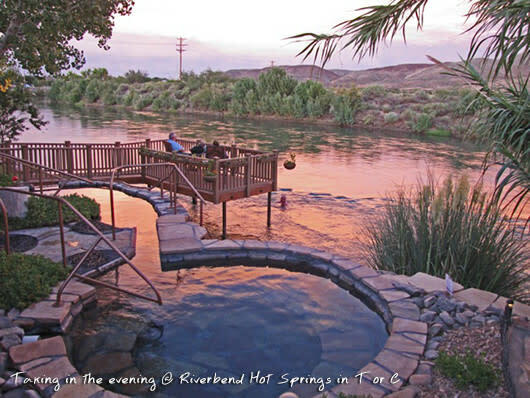 You’ll find TEN commercial bathhouses offering hot springs in the cool town’s easily walkable historic hot springs & commercial district.